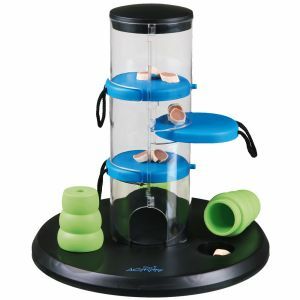 Although there are many puzzle toys on the market for dogs, this one has a unique tower shape with discs that pull out releasing treats below and there are three little cones to hide treats under. The puzzle difficulty can be adjusted to keep your pup entertained. 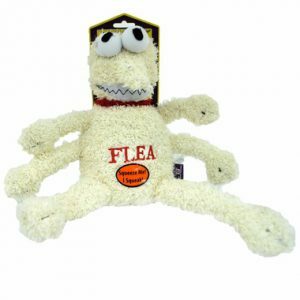 Now your dog can turn the tables with this flea chew toy and unlike the real thing…it has a funny face and features a squeaker inside. 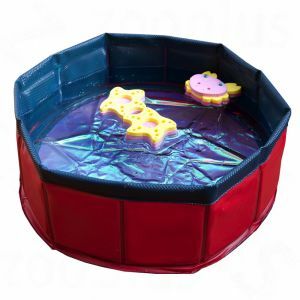 The title says it all…this little machine makes an endless stream of bacon scented bubbles that are non-toxic, tear-free, and safe for pets and kids.